Our clothes hanging on the line at our Airbnb in Casablanca. One of my friends is going to Europe at the end of the month and messaged me yesterday, asking about what/ how I had packed for our Morocco trip. Specifically, she was asking if I had used packing cubes, or just continued "rolling" my clothes - which was easy to answer: I rolled my clothes and had plenty of room in my suitcase! While we were messaging last night I misremembered sharing a suitcase with Remy. I have been sharing a suitcase with him on most of our travels lately, but I didn't when we went to Morocco because I wanted plenty of room to bring things back. However, in the end, I like having extra things in a backpack under my feet in the plane. If I packed everything in the backpack, I wouldn't be able to put it under my seat (it wouldn't fit). And if I put everything in a rolling bag, I wouldn't have access to it while we were in the air. I think eventually I'll figure out the perfect "collapse to one bag" system, but this trip, I just went with what I knew would work and it was fine. I never felt like I was carrying too much. Even though I would have liked to put my backpack in the suitcase while we were on the train, it was ok that I couldn't. Another load of clothes (mostly mine!) hanging on the line. I never took a shot of my suitcases together (or got a good photo of the inside of my suitcase! what!) this trip, and at this point I don't trust my memory to remember exactly what clothing I packed, but the exact items don't actually matter. My taste in clothes isn't necessarily your taste. Bring clothes you like to wear! All I can speak to is categories and generalities and my general thoughts on packing minimally haven't changed much from when we went to Thailand. 4-5 shirts (needed one or two more* because of sweating). 2-3 layering shirts (with 3/4 or longer lengh sleeves or high necked, for places when I felt more modesty was appropriate). 2-3 capris. 1-2 pairs of yoga/ loose, flowy pants. 2-3 skirts. 2 cardigans. One dress. 8 pairs of underwear. 4 pairs of slip shorts (to wear under skirts so my thighs don't chafe). 3-4 bras (mostly or all sports bras). 2 bathing suits. 2 infinity scarves (side note: I wish I had brought a regular scarf as well, and headbands or a buff. I ended up borrowing Remy and M's buffs fairly regularly.). 2-3 pairs of shoes/ sandals. One sun hat (best hat ever!). Sunglasses. We haven't ever had any problems washing clothes on long term travels. 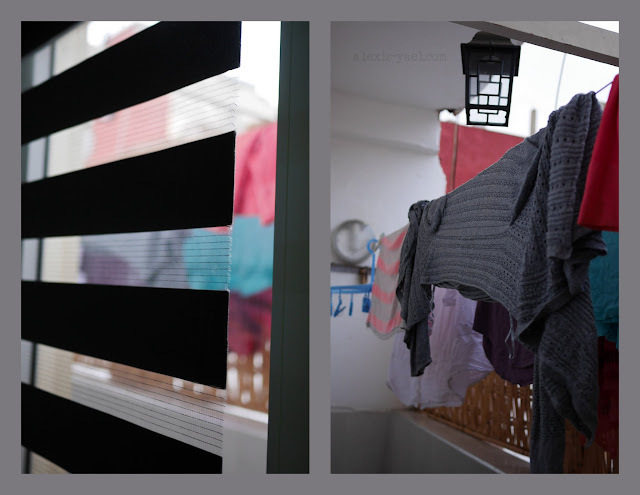 In Thailand, there were plenty of "fluff and fold" places to do it cheaply, and in Morocco, we had the riad (in Fes) wash clothes (sort of like a fluff and fold, except in house) and then stayed in Airbnbs with washing machines for the rest of the trip. I still plan on writing more about Airbnb at some point, maybe this week! Now that school has started, I will be back to writing every day here. And I have a lot to write about! * Thankfully, souster B offered to lend me one of her tshirts, because it matched my skirts, had a higher neckline than any of mine and was the best color - turquoise! She's awesome! I miss her!